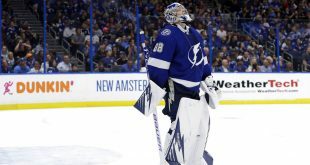 The Tampa Bay Lightning used their depth to propel them to a 5-2 victory over the New Jersey Devils in Game 1 of the first round. 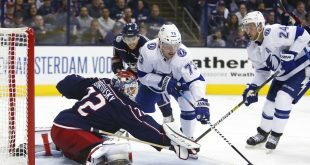 The Lightning’s highly-powered offense is led by Steven Stamkos and Nikita Kucherov, but neither star provided their typical spark. Ondrej Palat led the Lightning with a goal and 2 assists, while Yanni Gourde and Tyler Johnson each added a goal and an assist. The Tampa Bay Lightning have defeated the New Jersey Devils 5-2 to take a 1-0 series lead. 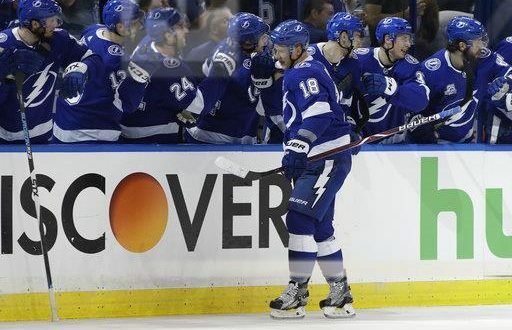 Ondrej Palat, Tyler Johnson, Yanni Gourde (GWG), Alex Killorn and Nikita Kucherov scored for the Lightning. The scoring began with five minutes left in the first period by Tampa Bay’s Ondrej Palat. Tyler Johnson added a goal for the Lightning at the very end of the first period to extend the lead to two. A power-play goal by Yanni Gourde gave the Lightning a 3-0 edge. Taylor Hall put the Devils on the board to make it a 3-1 game heading into the final intermission. The Devils put another one in the back of the net on a power play courtesy of Travis Zajac, but the Lightning were able to close out the contest strong with goals from Alex Killorn and an empty-netter from Nikita Kucherov. It was a much more even game than the final score suggests. Each statistical category was pretty much even. The Lightning had the edge in shots (32-31), face-offs won (38-35) and takeaways (10-4). They also had more penalty minutes (4-2) and more giveaways (7-6). The Devils had the slight edge in hits with a 36-35 advantage. Ondrej Palat briefly discussed Tampa Bay’s Game 1 victory. Even after this statement win by the Lightning, this series is far from over. Devils head coach John Hynes mentioned that his team will certainly bounce back and be prepared for a battle in Game 2. 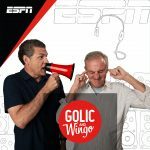 Hynes went on to discuss why the Lightning are such a dangerous team. These team will meet once again in Tampa Bay on Saturday at 3:00 p.m. for Game 2.